Who will pay for your loved one’s care? Nursing homes cost a fair deal of money, upwards of $50,000 a year, sometimes approaching $100,000 a year, depending on the place. And they expect to get paid. So, how will you pay them? The federal government will pay for a loved one’s assisted living through Medicaid. Medicaid applies to people over 65 who qualify, based on the person’s finances. However, if Medicaid pays for a loved one’s assisted living, they, too, expect to get paid, if there’s anything to pay them. Often, it’s the loved one’s assets (car, artwork, home) that are used to pay back Medicaid or the nursing home, if the nursing home has an unpaid bill. 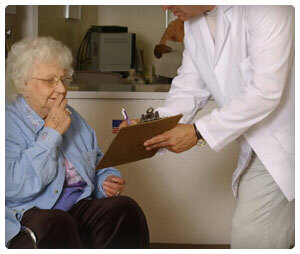 Nursing homes and Medicaid access the assets by placing liens (or claims) on those assets. Then, when those assets are ultimately sold, whether while the loved one is alive or passed, the lien holder are entitled to the proceeds before any family members. You don’t have to do anything with a loved one’s assets. You can simply move them into a home and figure out what to do with the assets as the future comes. However, if Medicaid is used to pay for the care, or if the nursing home racks up an upaid bill, those assets will be the target for liens. You can simply sell all or most of your loved one’s assets (with their approval, of course) prior to moving them into a home. You can then take the proceeds, place them in the loved one’s bank account, and use them to pay for their care. The problem with this approach is they’ll lose out on Medicaid if they end up having too much money. In such a case, the money will be used to pay the nursing home directly. Your loved one can transfer their assets to family members, thereby relinquishing their ownership. This will protect an asset from liens, because the loved one no longer owns it. However, there are restrictions as to what transfers can be made, and some transfers may cause a delay in Medicaid’s care for a loved one. Consult an attorney before transferring an asset of significant value. A trust can be a good way to protect a loved one’s assets. Money can be placed in a trust with restrictions as to when it can be released or who can reach its contents (known as the corpus). However, trusts are highly complex legal creations, and anyone thinking about using a trust should consult an attorney who specializes in trusts and estates. In sum, if you want to get care for a loved one without losing rights to their assets, then you should make sure to consult an attorney who can help you.